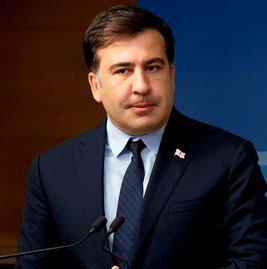 President Saakashvili denied all knowledge of the affair and proposed a new law to protect citizen’s privacy. Just when the memories of the prisoner abuse scandal in Georgia had started to fade, another scandal involving gross abuse of power of the Georgian government led by President Mikheil Saakashvili, defeated in the 1 october 2012 elections has emerged. The scandal involves the activity of a unit within the Military Police Department of the Georgian Ministry of Defence which was tasked with the entrapment of gay public personalities, who were lured into sexual activity, filmed and then blackmailed. Prosecutors say that senior members of the former government working in the Ministry of Defence were involved in the operation. The former Defense Ministry officials, prosecutors charge, extorted money from their victims and coerced them into cooperating with the secret services. In some cases, this allegedly involved voicing public support for Saakashvili and the government his party controlled. The Prosecutors office released some of the videos which were broadcast on one of Georgia’s TV channels, creating an outcry about the violation of privacy of the victims of the blackmail. The Prosecutor General, Archil Kbilashvili, said that the release of the footage, which hid the identity of the victims, was necessary so that people were aware of what was going on. He said eighty such videos had been discovered. The Prosecutor General said that the country had to be prepared for even “more sick stories”. He said that his office was currently investigating reports that prisoners were shown pictures and videos of members of their families being raped. “the previous government’s sick fantasy had no limits”, Kbilashvili added. President Saakashvili reacted to the airing of the videos by denying any knowledge of the operation and proposing to parliament a law to protect citizen’s privacy, but the measure has been greeted with some cynicism in Georgia. However human rights activists in Georgia and abroad are concerned that in its zealousness to expose the wrongs of the previous government, the current Georgian authorities are failing to respect the rights of those who have been victims of abuse or blackmail. The Ombudsman of Georgia and a number of Georgian NGOs have already taken issue with the government. In the meantime the process of release of prisoners from Georgian prisons as part of a general amnesty approved by parliament is continuing. a number of Georgians who had been living in exile abroad and who had been declared political refugees by the Georgian parliament are also returning. Observers think that whilst the process of exposing past crimes is necessary, a healing process in Georgian society must also start soon. this process is complicated by the fact that president Saakashvili remains in office for another nine months under the present constitutional arrangements. although he was elected for his second term for five years in January 2008, constitutional amendments stipulated that the next Presidential election will be held in October 2013. Saakashvili is barred from standing again because he has already served the two terms allowed by the constitution. PACE pre-electoral delegation concerned about a general lack of interest and trust in the election process ahead of Armenian Presidential Poll.